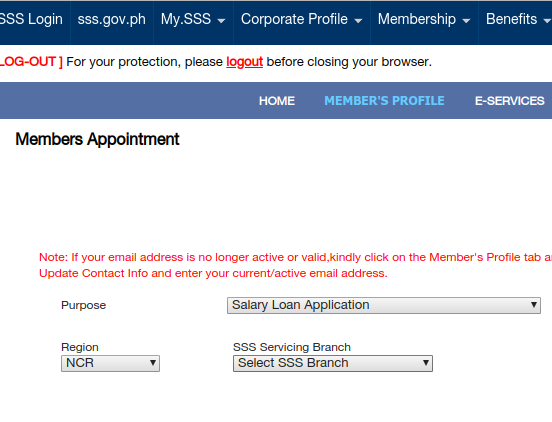 To avoid long lines in SSS Offices, you can use their online services to set an appointment before going there. Here's the steps to do it. Note: SSS stands for Social Security System, a government owned and controlled corporation serving as a statutory insurance service for private individuals. 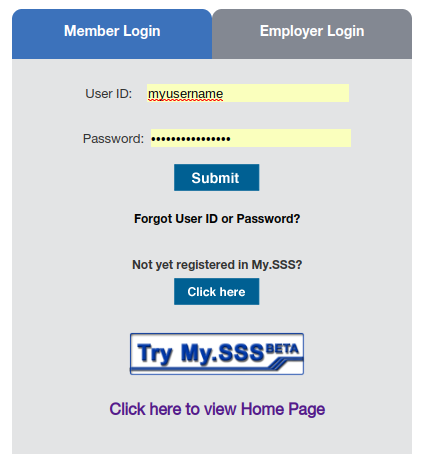 In the login tab in the menu, you can select SSS Login and you'll be greeted with this interface. Use your username and password to login. In case you forgot either or both your password and your username, just click the appropriate link. In case you haven't registered for an online account, click the appropriate button to register. 2. Once you have entered your account, hover over to Members Profile and select the Appointment System link under it. 3. 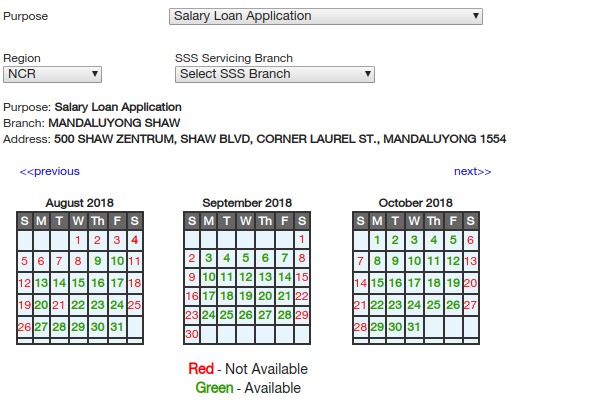 Select from the drop-down menus the Purpose of your visit, the Region, and the SSS Servicing Branch you wanted to visit. 4. Select a date from the calendar provided and then select the time of appointment. 5. Once finished, click submit and you'll receive an email and further instructions. Make sure to go to the branch you have chosen on the date and time you selected. Bring the necessary documents. It will depend on what transaction you want to do. Note: This procedure may change with time because systems are being updated from time to time.